Performing before a sold-out crowd is every comic’s dream, but it was simply unheard of for a comedian to perform at two separate arenas in one night—let alone on the other side of town. However, on Dec. 22, to end the Wild ‘N Out Live tour on a high note, Nick Cannon did just that; headlining at both Show Place Arena in Maryland and Capital One Arena in Washington, DC. Of the ten city run, this was by far the largest stop on the tour, with Cannon pulling in more than 20,000 fans at the nation’s capital. Cannon raised the bar in comedy yet adding another item to the long list of groundbreaking things that the multitalented comedian has accomplished. Though Cannon was in uncharted territory, after such a successful run on his first major tour, he has rightfully earned his place at the table with comedic peers like Kevin Hart and Katt Williams. Comedy is without a doubt, one of the toughest industries to be successful in and Cannon knows this too well. In the beginning of Wild ‘N Out, TV networks did not understand the concept of a hip-hop improv show. Yet twelve years later, Wild ‘N Out is staple show on MTV and has been budding comics from all over the world. With the huge success of the show, Cannon took the show on a country-wide tour for thousands of adoring fans to experience up close and personal. Cannon traveled with his cast members Rip Micheals, DC Young Fly, Emmanuel Hudson, Justina Valentine, Conceited, Hitman Holla, Charlie Clips, DJ D Wrek and more. The perfect blend of comedy and hip-hop sets Wild ‘N Out Live apart from other comedy shows. Every show of the epic Wild ‘N Out Live tour included musical performances by the biggest name in the industry. Joining him on stage were 21 Savage, Kodak Black, Yo Gotti, Waka Flocka, Rick Ross, YFN Lucci, Wale and that’s only the tip of the iceberg. Fans also got the chance to get on stage for “Family Reunion” and battle head to head with the cast in “Wild Style”. With the affluent outcome of Wild ‘N Out Live, Cannon’s inner humanitarian was hard at work, donating over $40,000 to organizations like UNICEF and Angel by Nature to help victims of Hurricanes Irma and Harvey. The cast became accustomed to being drowned out by screaming fans in Chicago, New York, Atlanta, and even Nick’s hometown of Charlotte. Among them being hundreds of invited special guests from the Boys & Girls Club and other youth organizations. The joyous faces of the youth held a special place in the cast’s hearts. 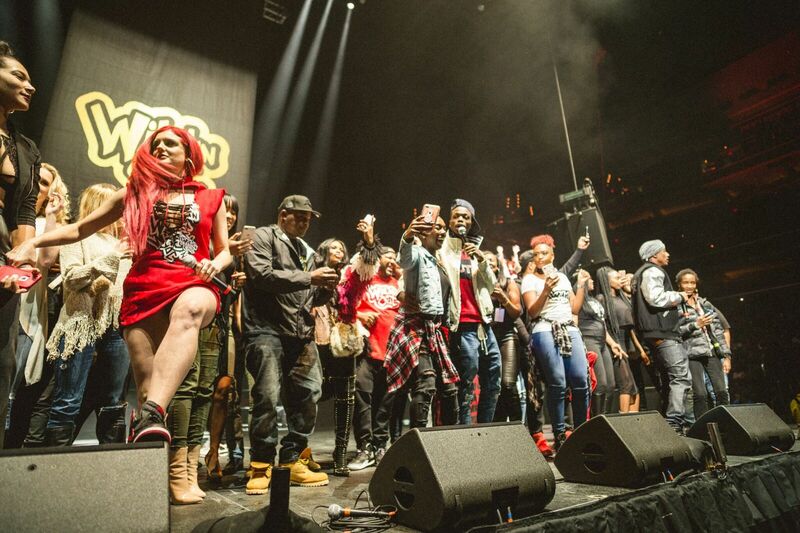 Noted for its infectious high energy and surprise celebrity performances, the tour has become both a critical and commercial pillar for the Wild ‘N Out brand; engaging audiences across the United States. There are no signs of stopping, Cannon and his incredible gang of improvisers have plans to bring the tour back in 2018.